Jeffrey A. Seitz, age 58, of Sioux Falls, entered a glorious place and into his dad’s open, loving arms on February 10, 2019, at Avera McKennan Hospital. Funeral services will be 1:00PM, Saturday, February 16, 2019, at Bethany Lutheran Church in Howard. Burial will follow at Mt. Pleasant Cemetery in Artesian. Lunch and fellowship will be prior to services from 11:00AM – 12:30PM at the church. Jeff was born October 31, 1960 at the Madison Hospital, Madison, SD to Keith and Bernice Seitz. Jeff was born with spinabifida but with this disability, it never stopped his family or himself from leading an active normal life. Once Jeff was at the age to go to school, he spent most of his time up through his teenage years going to school at Children’s Home Society in Sioux Falls SD and graduated in 1978. After graduation Jeff moved to Minneapolis, MN. After suffering a serious setback with infections and the requirement to be closer to family members to assist him more, he moved to Sioux Falls, SD where he spent the rest of his life up until his death. Jeff had a passion and love for many things. First, was his family. He always worried about his mother, especially when dementia took over her life and his nieces were near and dear to his heart. Many memorable moments were spent with his brother and sister-in-law going to numerous rock concerts in Sioux Falls. Jeff also had a passion for collecting many items, especially coins/bills. He enjoyed going to the flea market and to the comic book/trading card and coin shops so he could look for collectible items. Being a big supporter of the Roller Dollz, a women’s roller derby team in Sioux Falls was at the top of his passions also. He loved going to the annual Bacon Fest in Sioux Falls and also Jazz Fest and Rib Fest. He loved volunteering at the Butterfly House up through 2018. After that, he decided to enjoy life and just sit on the bike paths on sunny days and read a good book. His disability did not stop him from anything, unless he was seriously sick and had to be hospitalized for long periods of time due to health complications and infections. 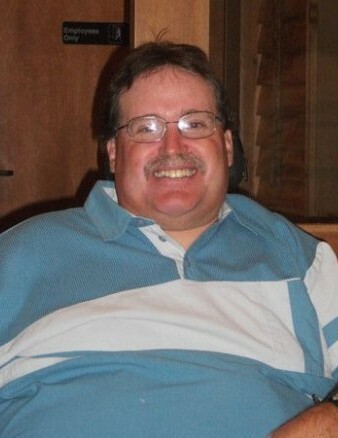 Jeff could always be seen getting around Sioux Falls in his motorized chair and his brother nicknamed him “Mario Andretti” because he would go at top speeds with his chair when he could. Jeff made many near and dear friends over the years in Sioux Falls by being so active in the community and they were a huge support for him. Jeff’s active life was put to a halt on January 23, 2019 when a serious health complication eventually took over and ended Jeff’s hard fought battle on February 10, 2019. Those grateful for having shared in his life include his mother Bernice Seitz of Artesian, SD; his brother Mark (Angela) Seitz of Artesian, SD; his nieces Heather (Adam Berger) Seitz of Fargo, ND and Nikki (Michael) Dawson of Howard, SD; along with many aunts, uncles, cousins, and many close, dear friends. Jeff is preceded in death by his father Keith Seitz; grandparents; and numerous uncles and aunts.